What can a non-surgical nose job do for me? To make the procedure as smooth as possible, all injection materials include local anaesthesia to minimize any discomfort. It’s our personal specialty to improve how you feel about what many consider to be the centrepiece of the face- your nose. Achieving the profile you personally desire is possible through injectable fillers with the high expertise and skill that is offered at NCBC Med-Laser. No downtime. Have the procedure done and return to work the same day! 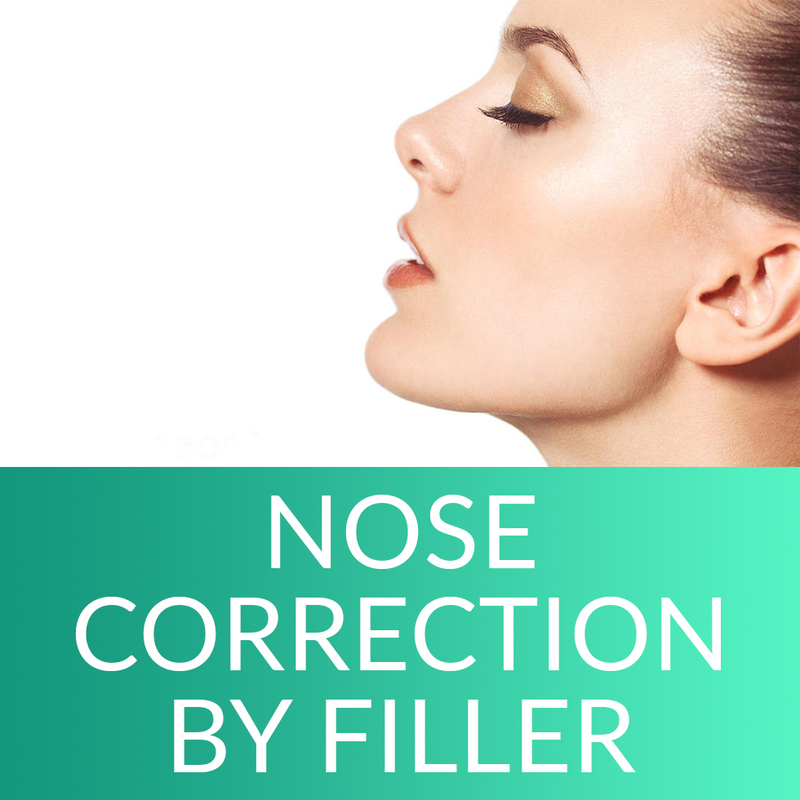 As time passes in the interval after the procedure, the body will absorb the filler and, near the end of the duration of the product’s life, the nose will revert to its original shape in a subtle, uniform way. Our goal is to complement and enhance facial appearance and bring balance to your nose– from base to tip! Juvéderm® is the #1 doctor recommended facial filler in Canada and worldwide. Using hyaluronic acid, a naturally occurring sugar found in your body, Juvéderm® combines with the water in your skin to gently restore fullness. The smooth formulation of Juvéderm® provides results that look and feel very natural. Juvéderm® Ultra, Ultra Plus, and Voluma are smooth-consistency injectable gels with pain-reducing lidocaine that delivers a smooth, natural lift to subtly refine the nose.